With proper oral hygiene habits and regular checkups, you can feel confident that your oral health will remain at the highest possible level for years to come. The team at Anthony Spink Dental Suite offers a variety of services to make sure that you show off a healthy, bright smile. If time allows or you’ve scheduled for it, we’ll also perform a scale and polish. This process involves the removal of plaque and tartar that has built up since your last checkup. We’ll polish your teeth to a gleaming finish and floss them. Additionally, we’ll review proper brushing and flossing techniques with you so that you know you’re doing all you can at home to protect your oral health. We recommend that you have a dental checkup every six months. Adults and children alike can maintain the best possible health in teeth and gums by following this regimen. Problems can occur and worsen in a short time frame if they’re not addressed. 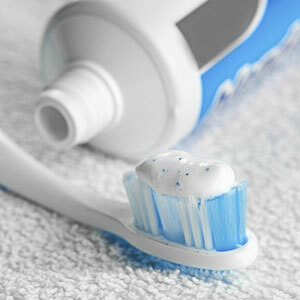 You can feel confident that your teeth and gums will stay clean, healthy and have their full function. In some cases, such as those with gum disease, we may recommend more frequent visits. We’ll be happy to discuss what is most appropriate in your particular situation. Contact our friendly team today to arrange your first visit for preventative checkups and cleanings Brighton! We can often fit you in on the same day as you call.